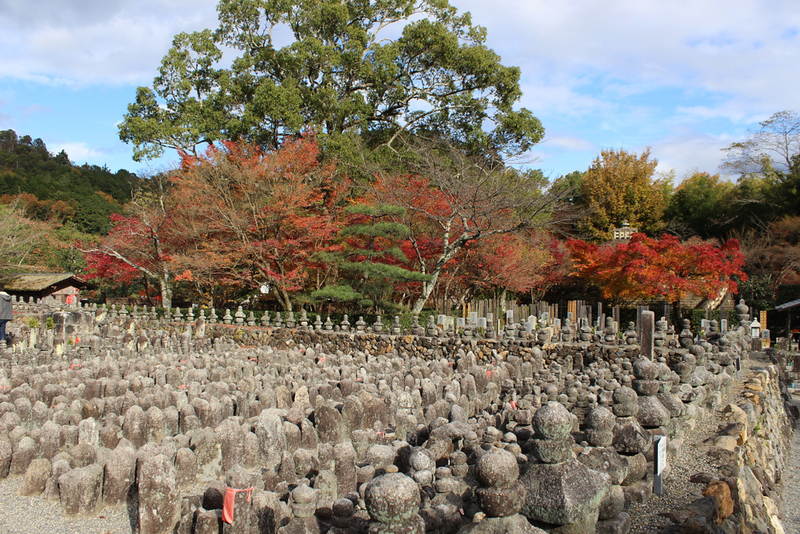 A touching temple at the top of the Arashiyama sightseeing district, you’ll find 8000 Buddhist statues here placed in memory of those who died without kin. If you’ve walked the whole Arashiyama tourist trail from Tenryu-ji Temple to this distant mountain end of the road, you’ll find yourself at the base of the steps leading up to Adashino-Nembutsu-ji Temple, a temple dedicated to the repose of souls who have died without families to remember them. On the evenings of 23 and 24 August, a ceremony is held in which candles are lit throughout the grounds. Adashino-Nembutsu-ji Temple is located in Kyoto’s Arashiyama district. See our complete list of things to do in Kyoto’s Arashiyama district, including places to eat, nightlife and places to stay.